This research aimed at identifying the level of social capital, the level of societal affiliation of farmers, and determining the relationship between social capital and societal affiliation. The village of Harya Razneh, Sharqiyah Governorate was chosen randomly to conduct the study. A systematic random sample of 204 farmers was selected. The data were collected using a questionnaire. Weighted means, standard deviations, person correlation, exploratory factor analysis and hierarchical regression analyses were employed for data analysis. 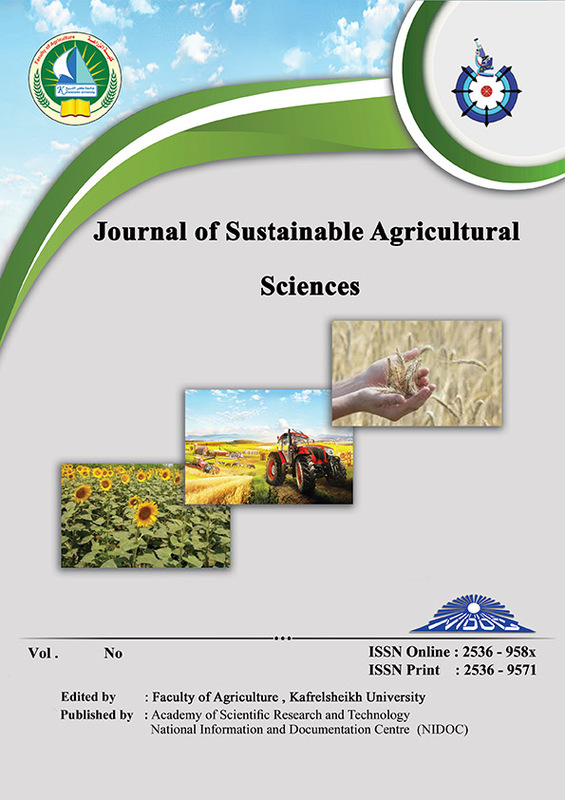 The results showed that the farmer’s social capital level in the study area was moderate. cohesion and social solidarity came first, followed by Trust in others, empowerment and political action, trust in community organizations, collective action and cooperation, Information and communication, norms and shared values, and finally network relationships. The study results indicated that the level of societal affiliation of farmers in the study area was also average. The results indicated that there is a positive correlation between the societal affiliation and the respondent age, common norms and values, empowerment and political behavior, collective action and cooperation, trust in others, cohesion and social solidarity, network of relations and participation in information and communication. The results of the hierarchical regression analyses revealed a statistically significant effect of five dimensions of social capital on societal affiliation, these dimensions are common norms and values, collective action and cooperation, cohesion and social solidarity, trust in others, and finally network relationships.